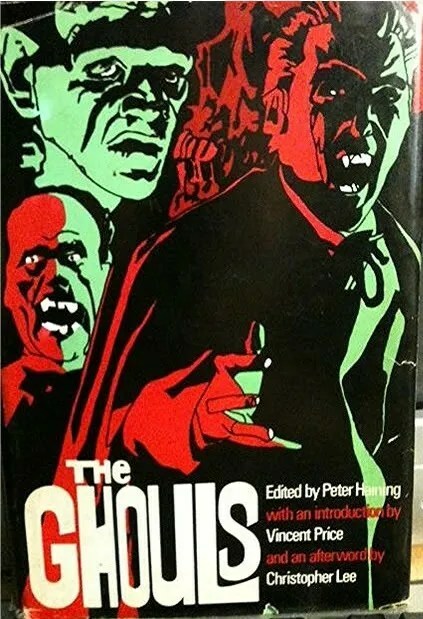 The word “uncanny” is often used interchangeably with words like “eerie” and “weird.” After Boris Karloff portrayed the Frankenstein monster in the classic 1931 movie, he was sometimes billed as “Karloff the Uncanny.” I recently decided to look up the actual definition of uncanny and discovered a treasure trove of cool information, including some psychology from Sigmund Freud and Ernst Jentsch, short stories by E. T. A. Hoffman (especially Der Sandmann), which inspired the likes of Poe, Baudelaire, and Kafka, all the way up to Neil Gaiman’s acclained graphic novel, The Sandman. A 1906 essay by Ernst Jentsch called On the Psychology of the Uncanny cites the fiction of German writer E.T.A. 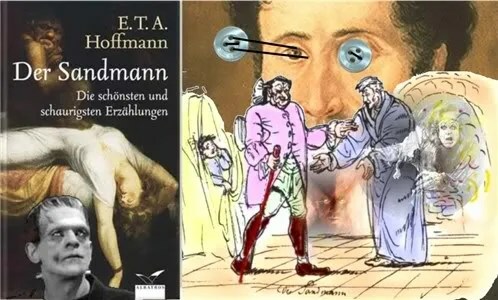 Hoffmann as examples of uncanny tales. Sigmund Freud also made extensive references to Hoffman’s work. Both psychologists focused mainly on a macabre little tales called Der Sandmann (The Sandman). I found Hoffmann’s The Sandman to be a wonderfully bizarre treat, and Thanks to Gaslight, you can read the entire text here. Neil Gaiman‘s Sandman series of graphic novels feature a character created by Morpheus (“the Sandman”) called the Corinthian, who steals the eyes of his victims, similarly to Hoffman’s Sandman. Here is a good source of information on Gaiman’s Sandman: Master of Dreams.